Follow these simple steps to get free 12 months of financing. 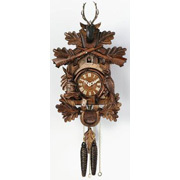 Call Keil's Clock Shop at 1-800-455-6866 to place your order. We will provide you with application forms for financing.